Placing a kitchen sink in the corner is sometimes awkward and difficult to work with but you can’t deny it looks outstanding. Moreover, it comes with a bunch of great characteristics that we will discover together in the following article. Read on. To start, the corner sink effortlessly fills unusual corners that otherwise would have languished. And that’s not all – this type of sink will turn every unusable niche into the most active part of your kitchen. It’s all being practical, right? Eventually, if you want a corner sink in your kitchen, be prepared to stretch your budget as this type of sink usually needs to be custom-built due to the unusual space. Placing a corner sink will eventually take the kitchen design to a brand new level. It looks timeless and makes every room have a unique, warm vibe. 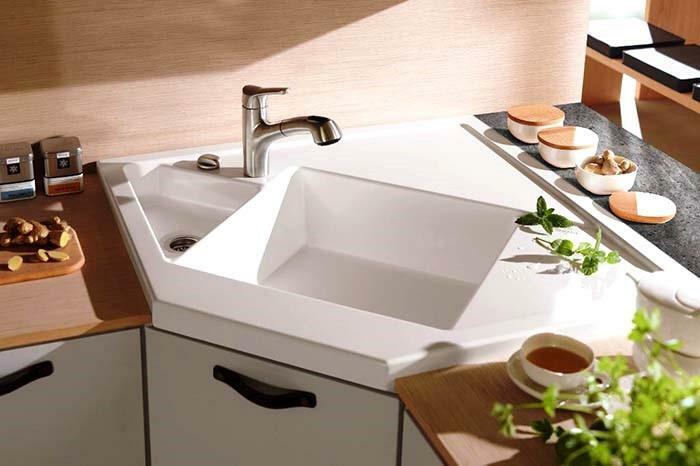 Moreover, the corner sink in the kitchen positively creates possibilities for more flexible design. That is a great advantage, especially for small kitchens where every inch matters. Prepare yourself for smart planning. This is something that might interest those of you who have a compact cooking space. Placing a corner kitchen sink frees additional counter space and gives you a longer stretch of the workspace. In addition, the cornered sink will appear as a natural extension that follows the flow of countertops along the kitchen wall. It does sound great, right? In case you are lucky to have a spacious kitchen, you can still install a corner sink as a little extra to the large, regular kitchen sink. In this way, you will enjoy more family time and will be able to cook along with your partner. The adjusted wedge shape of a cabinet under a corner sink creates sufficient space to conceal cleaning supplies and all kind of kitchen gear. 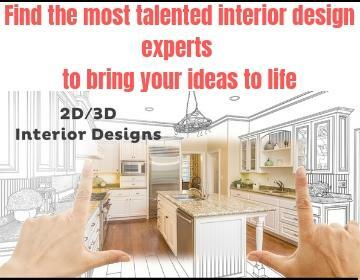 Just keep in mind that these advantages come with a concern: If your countertops are made of heavy materials (such as stone or granite), it is a bit difficult for a corner cabinet to give the support they need. The kitchen corner sink makes the movement in the kitchen a lot smoother. What do I mean? While cooking the sink is used continually. It could be very annoying and tiring for the person who cooks to keep shuffling from the oven to the washing area. By placing a corner kitchen sink, you would surely increase the efficiency of the room and thus create a more practical kitchen. Moreover, you would enjoy more the process of preparing the dinner. Also, with a corner kitchen sink, the members of the family aren’t susceptible to be getting in each other’s way. The move becomes uninterrupted and notably more convenient. After identifying the key benefits of installing a corner kitchen sink, let’s now point out its disadvantages. Here, we could include the petite size, the greater the difficulty to clean it and the total loss of natural light (they are placed in corners where there is no window). Last comes the Dishwasher challenge. On the off chance that your dishwasher is fixed ideal next to the corner sink, your access to the sink will be blocked when you open the dishwasher’s door, hence making it tough to pile the dirty dishes while remaining at the sink. Installing a corner sink in the kitchen has a whole bunch of benefits. If functionality isn’t of prime significance to you, the design and the space-saving feature can be surprising. Think well and make a well-informed choice.